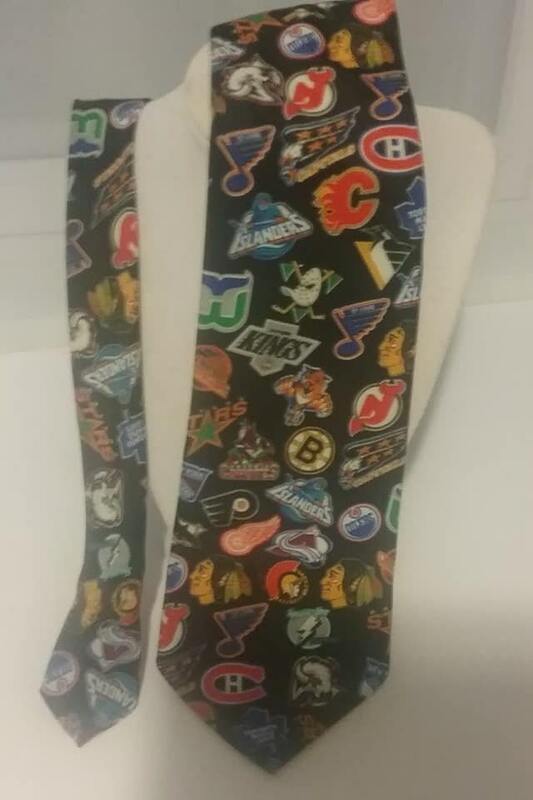 National Hockey League 1990s Team Logos Men's Necktie. 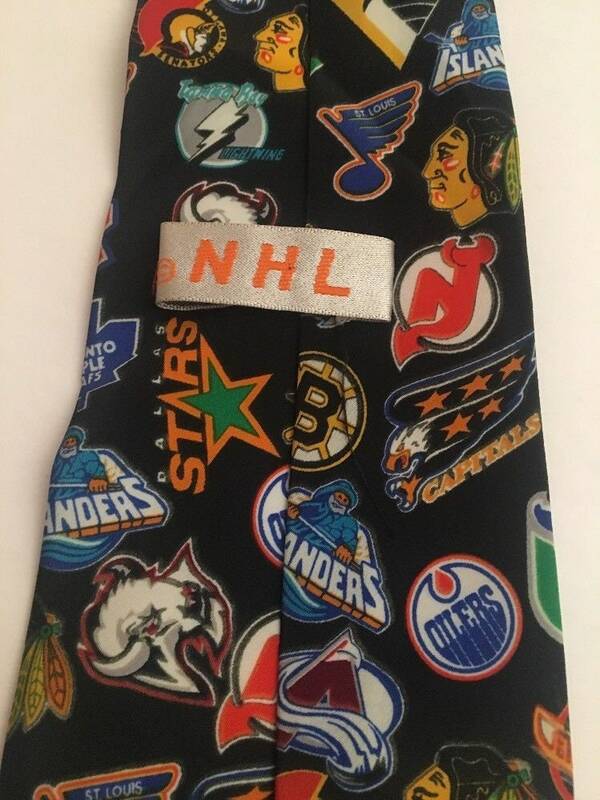 Featuring the retired team, Hartford Whalers A perfect gift for the hockey lover on your list, your boss, or for yourself. It is in excellent vintage condition. 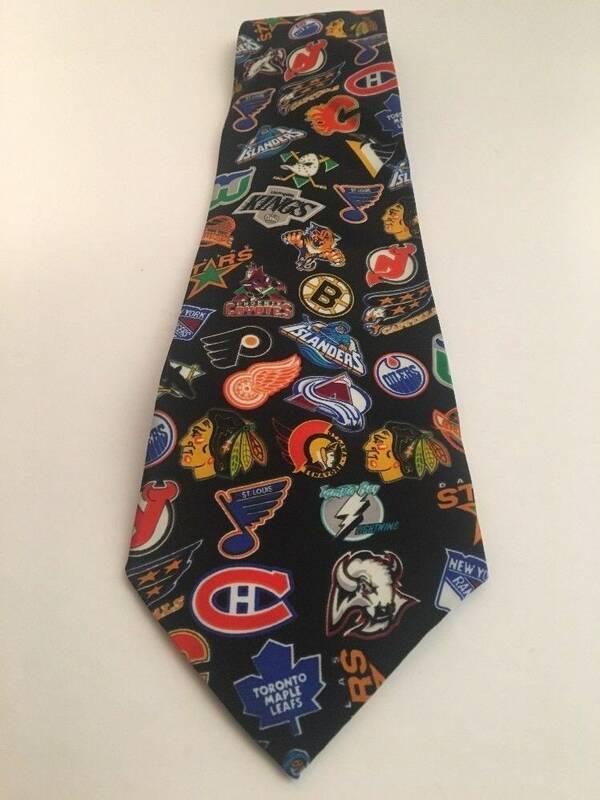 The widest part of the tie is 4" wide, and the smallest is 1". 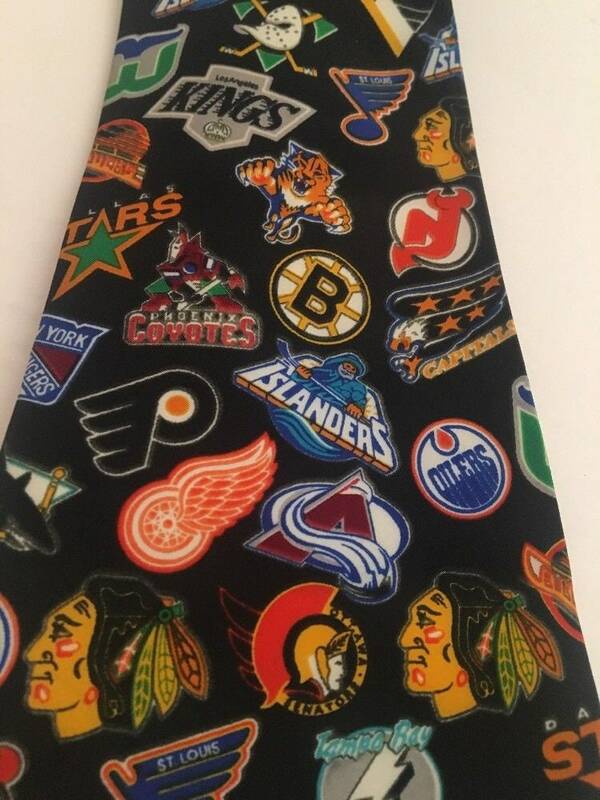 The length of the tie is 96" in total. You will, SCORE! 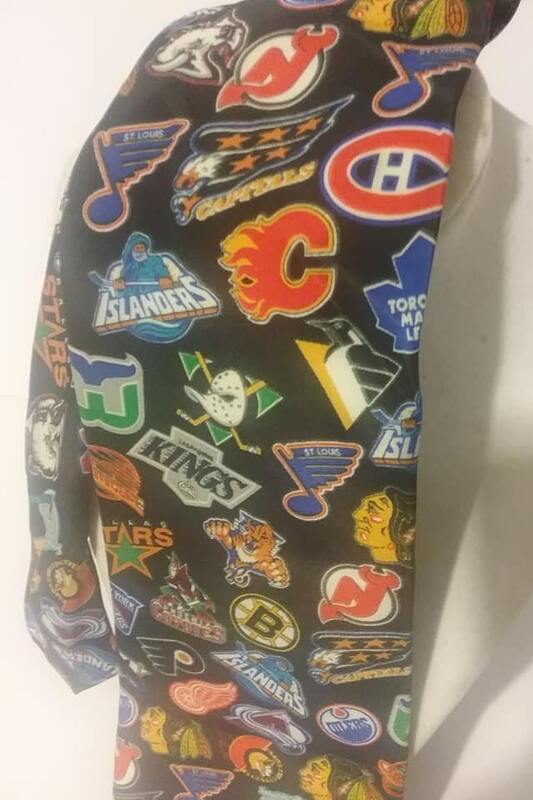 !, giving this gift to the hockey fan in your life.